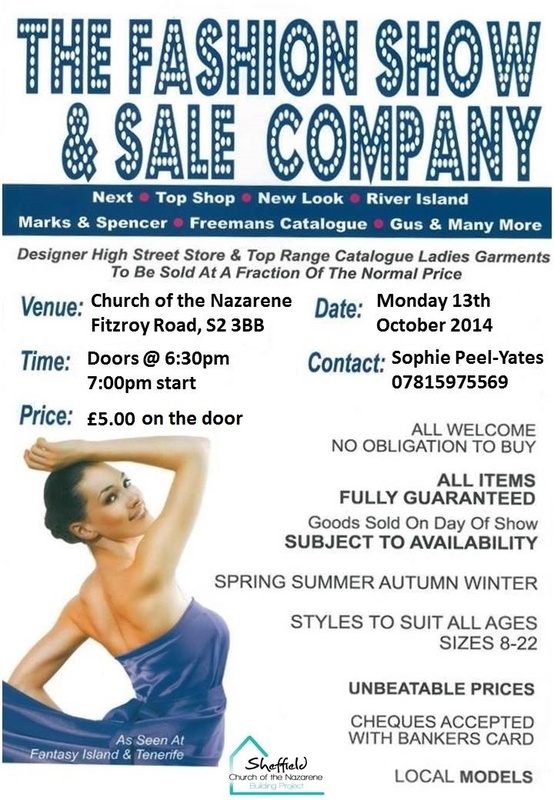 Fashion Show and Sale! @ Church of the Nazerene, 13th Oct – 6.30pm | IT'S HAPPENING IN HEELEY! Back by Popular Demand! NEW High-street brands at low prices. ← Do you care what happens to Meersbrook Hall and Pavilion?